A Walworth County judge sentenced Erica A. Lenard, 32, of 197 Church St. Unit A, to the jail term and three years of probation after Lenard pleaded guilty to possessing methamphetamine, court records show. A second charge of possessing a controlled substance was dismissed and read in to the record. Erica’s husband, Cody J. Lenard, 26, was sentenced last June to 18 months in prison for possessing a firearm as a felon. The Dec. 21, 2017, police raid occurred months after the couple were sentenced to probation on meth charges. When police raided the home, they reported finding a .38-caliber revolver, according to the criminal complaint. Erica Lenard will get work release during her jail term. 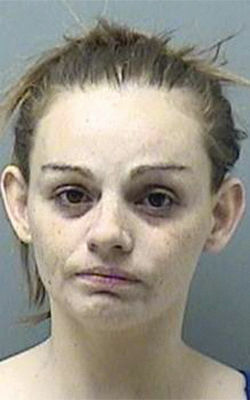 As a condition of her probation, she must perform 100 hours of community service, according to online court records. She also must pay $200 plus court costs, and she cannot buy pseudoephedrine or other meth precursors. 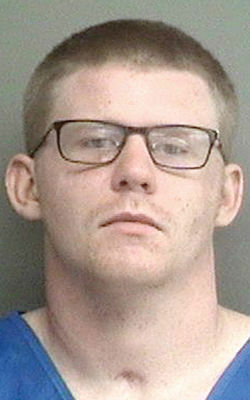 A Walworth County judge sentenced a Sharon man to 18 months in prison for possessing a firearm as a felon after police raided the man’s apartment in December, court records show.